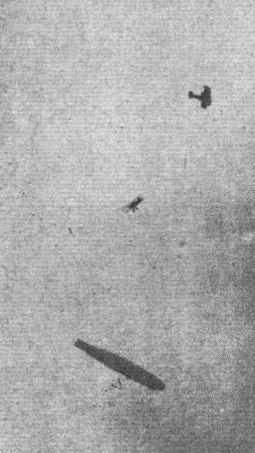 Typical Aerial Derby machine: Nieuport "Nieuhawk" (300 h.p. A.B.C. "Dragonfly"). The classic and popular air race known as the Aerial Derby, inaugurated in 1912. At the photo is the "line-up" of competing machines before the start of the fifth contest, which took place in July, 1920. The machine in the foreground is. 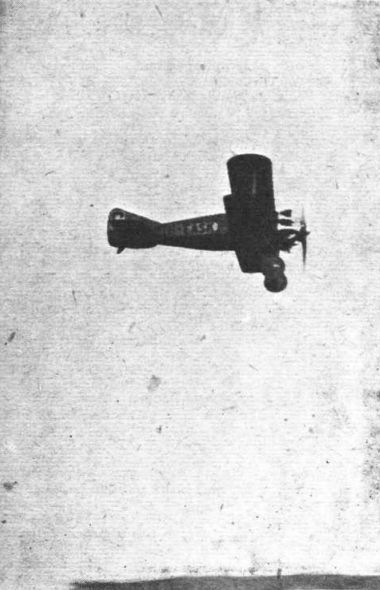 the Nieuport "Nieuhawk" piloted by "Jimmy" James, who finished second. Next are the two Martinsydes - the F.6 and the F.4. 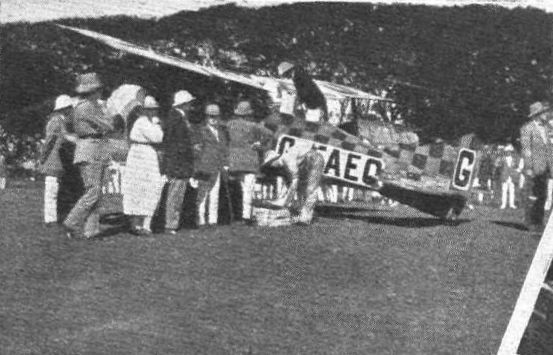 The start of Event 1 at the Pageant, a handicap race in which eight different types of aeroplanes took part. The Handley Page (limit 'bus) has just left. The Nighthawk (scratch) in foreground. 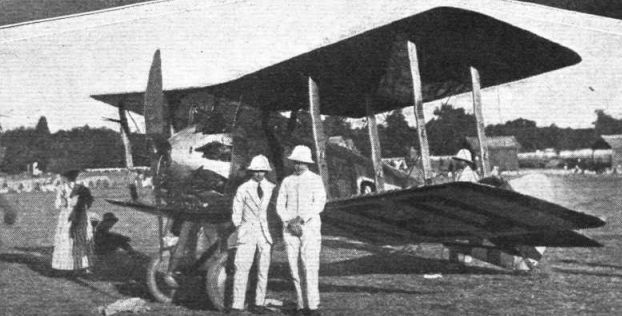 A Nieuport "NIGHTHAWK" in India. 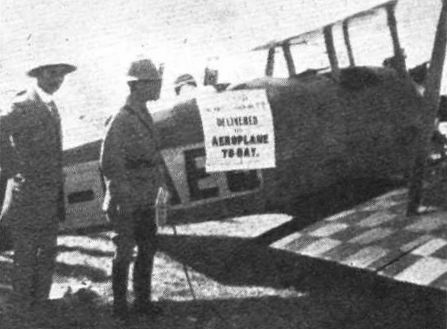 During the later part of last year the British Nieuport Co. sent a Mission out to India, where some excellent propaganda work was done. The Mission was under the leadership of Capt. R. S. Carroll, who had with him Lieut. J. H. James, one of the Nieuport test pilots. On arriving in Bombay the "Nighthawk" was uncrated and erected in record time, and was soon to be seen flying over Bombay. While in India a great number of flights were made, among others one from Bombay to Poona with a load of newspapers. Photograph show: The machine just after arrival at Poona. On the left is Lieut. James, and on the right Capt. Carroll. The Nieuport caused great interest throughout the districts visited, and its handling was much admired. During the next few years India should offer a good field for commercial aviation, and Major Heckstall Smith is to be congratulated on his enterprise in introducing the Nieuport machine to the residents of India. Getting ready at Bombay for the flight to Poona. The arrival of the newspapers at Poona. 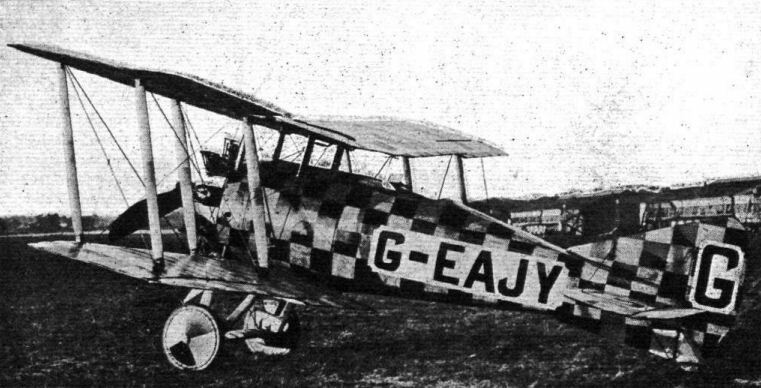 The Nieuport "Goshawk," 320 h.p. A.B.C. "Dragonfly" (No. 16), piloted by Mr. Tait-Cox in the Aerial Derby. This machine is the holder of the British speed record of 166.5 m.p.h. AN EVENT AT THE PAGEANT: Duel between a Siddeley-Nighthawk and a Siddeley-Siskin - the latter is seen at the top making a sharp turn after the latter. Below is "R.33" hovering in the haze. 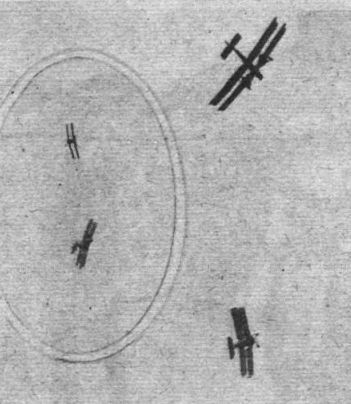 AN AERIAL COMBAT AT THE R.A.F. PAGEANT: A Nieuport "Nighthawk" and a Boulton and Paul "Bourges" manoeuvring for a position of advantage. Inset on left, the "Bourges" is seen looping out of the "Nighthawk's" line of fire.